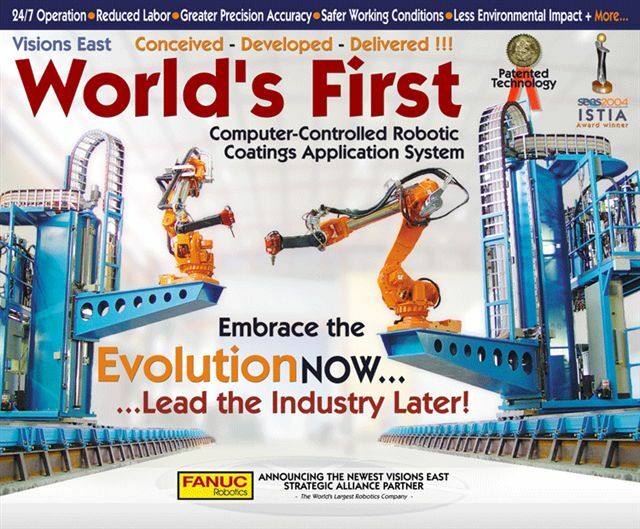 The World's first computer-controlled robotic coatings application system allows you to embrace the evolution now, lead the industry later. It affords 24/7 operation, reduced labor costs, greater precision accuracy, safer working conditions, and less environmental impact. Today, well over 30 countries have either awarded or have announced upcoming awards for Visions East's technological solution to fairing and painting large marine vessels.